The Gerbera Guys are back! Jet Fresh Flower Distributors in Miami, Fla. is proud to announce that we’re now an authorized distributor of Rosa Flora Limited flowers from Canada. 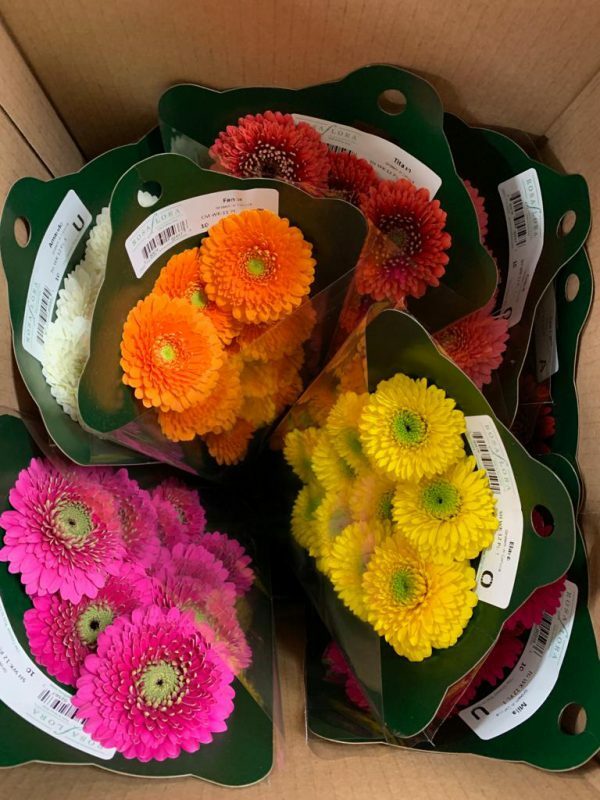 RosaFlora Limited is a renowned grower of top flowers perfect for wholesale and events including Gerbera Daisies, Lisianthus, Snap Dragons and more. 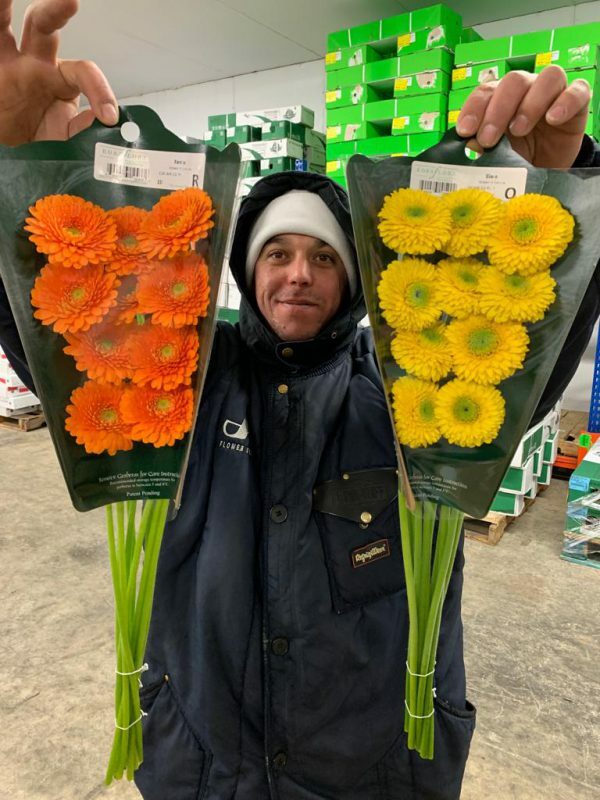 Rosa Flora Limited, located in Ontario, Canada, is known for their premium-grown Canadian Gerberas, which we’re now carrying on a weekly basis. 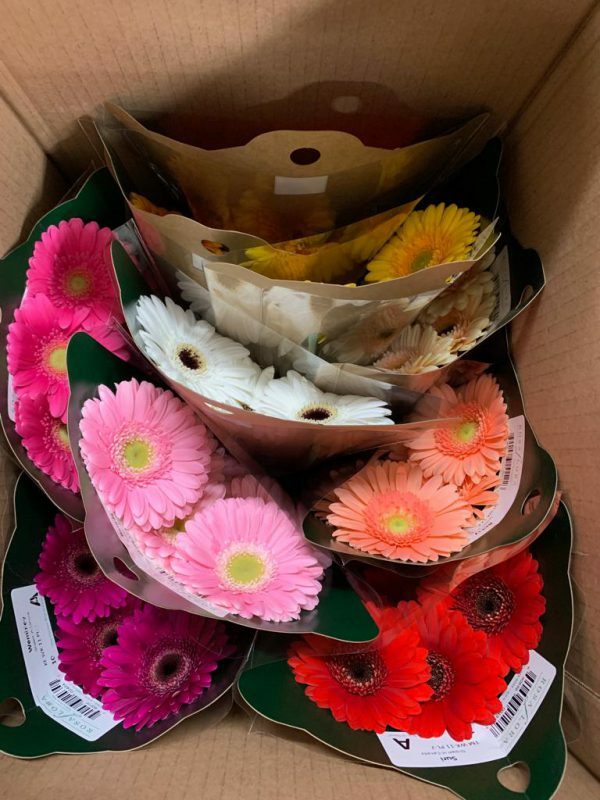 Jet Fresh Flower Distributors will have a great variety of solid and assorted cases of Standard Gerbera Daisies, Mini Gerbera Daisies, Gerrondo Gerbera Daisies and Spider Gerbera Daisies from Rosa Flora. 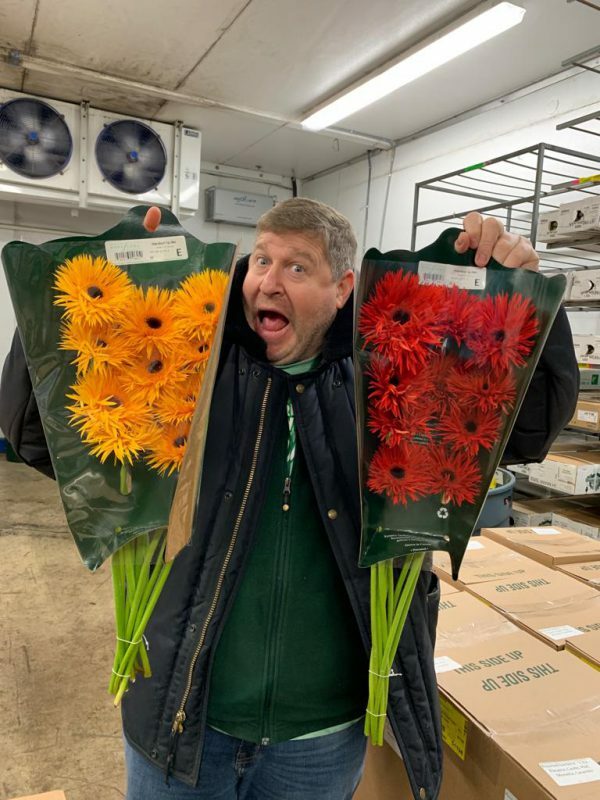 In this new episode of JFTV, Mike is accompanied by our infamous Gerbera Guy as they showcase a fresh lineup of Rosa Flora’s Canadian Gerbera Daisies. 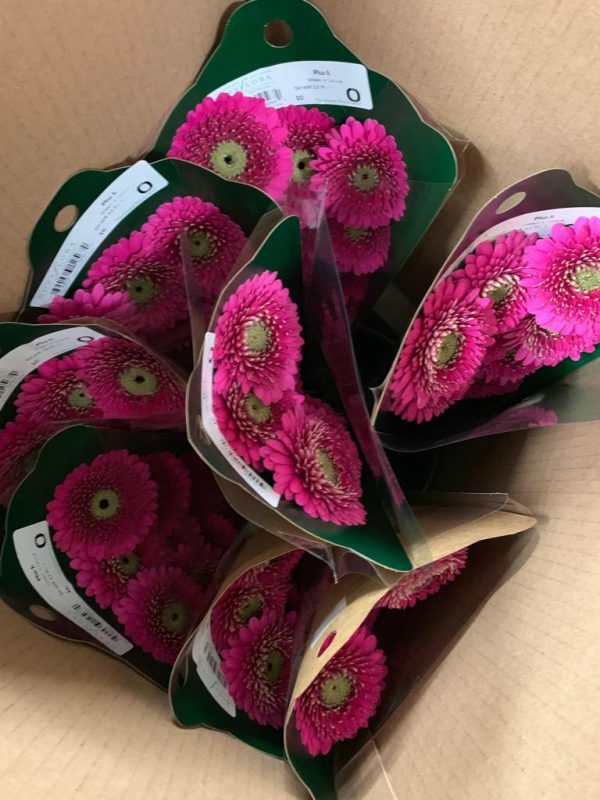 RosaFlora Gerbera Daisies are packaged for the utmost quality and presentation. They come shipped in an upright, wet-packed box (free bucket included), and are available in packs between 60 and 100 stems. The stems are packaged in display-friendly 10-stem cards that lay nicely facing the same direction for protection as well as appearance. Along with Standard and Mini Gerbera Daisies, Rosa Flora grows beautiful Gerrondo and Spider Gerbera Daisies. Gerrondo Gerbera Daisies have thicker blooms with small overlapping petals, and they’re a great substitute for Dahlias for their unique shape. 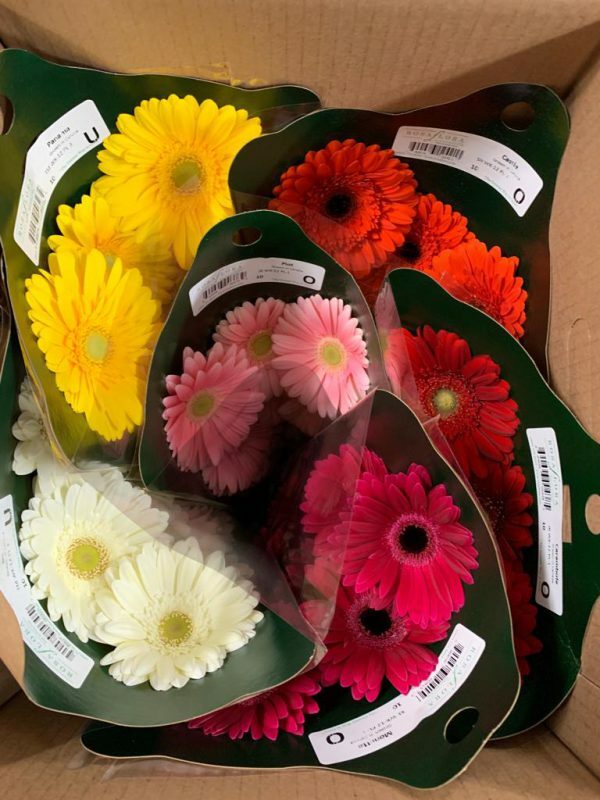 Rosa Flora Limited Gerbera Daisies are available in a wide range of colors for your wholesale and event needs. Don’t miss out on these quality flowers available at Jet Fresh Flower Distributors weekly. Ask your sales rep for more information. Contact us at Sales@JetFreshFlowers.com or (305) 499-9144. This entry was posted in News and tagged Gerb, Gerb Guy, Gerbera Daisies, jftv, Rosa Flora, RosaFlora.